Hey Guys! Today I wanted to share a simple recipe for a stable food in my (and most vegans and vegetarians) diet! Smoothie bowls are really just a different way to make a smoothie. The main difference is the thickness of the blended fruit. To achieve this you simply just add less liquid. You can make this in a blender, but I make mine in a food processor. This recipe does not have any added sugar in it. I make it sweet by using very ripe fruit. I feel that adding sugar gets in the ay of enjoying the taste of the fruit the way it was meant to taste. This makes a perfect breakfast, lunch or snack! It is full of fresh, healthy ingredients that will leave you feeling energized and it will keep you full. 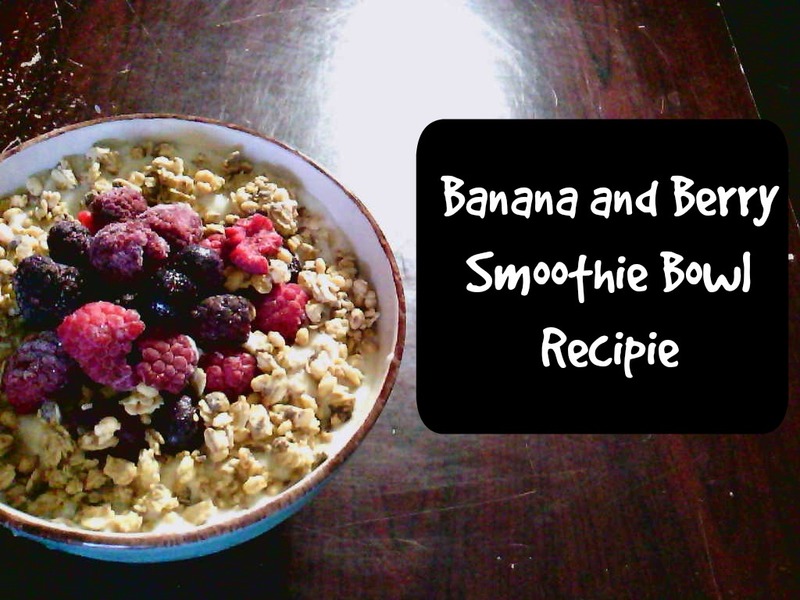 Smoothie bowls are super flexible and you can use anything you have on hand in your kitchen! So have fun and get creative! 1. Add the bananas and the milk into your food processor or blender.